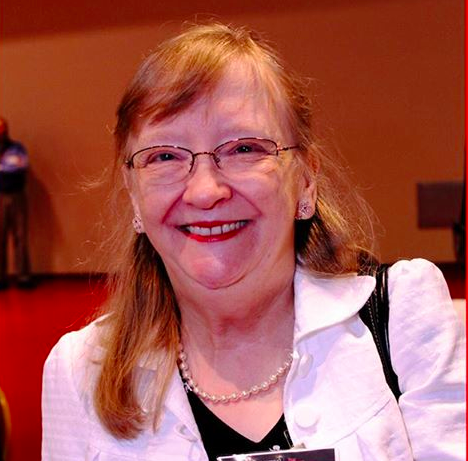 Elisabeth Miller is the TA Coordinator of the Madison Writing Assistance (MWA) program and has had the great pleasure of working as an instructor at nearly all of MWA’s locations over the past four years. She also serves as the Assistant Director of the Writing Across the Curriculum Program at UW-Madison and is a Ph.D. candidate in Composition and Rhetoric. Nancy Linh Karls is the Director of MWA. She also serves as the UW-Madison Writing Center’s resident Science Writing Specialist as well as Director of the Mellon/Wisconsin Dissertation Writing Camps. Whether it’s a resume, a job application, a grant proposal, a college application essay, a letter to a landlord, a medical memoir, or even a zombie apocalypse novel, Madison Writing Assistance (MWA) can help with it — and with much, much more! Offering free, one-to-one writing assistance to Madison residents of all ages, MWA seeks to meet people where they are: in their neighborhoods and on writing that matters to their lives and livelihoods. 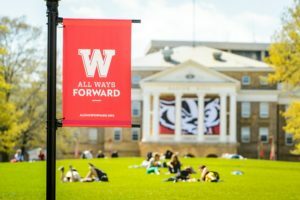 In this post, we hope to give you a window into the exciting range of writing assistance happening off campus through MWA, the community-based arm of the UW-Madison Writing Center. In addition to some background on MWA’s history and current structure, we offer a glimpse into the perspectives of the instructors, partners, and patrons who sustain this rich program. Finally, we invite you to join us for this spring’s annual Celebration of Writing! An MWA instructor and a writer hard at work on a memoir. Nearly 20 years ago, MWA (formerly known as Community Writing Assistance) began with a small group of volunteers from the UW-Madison Writing Center, who set up tables and “Writing Help Here” signs at community centers and libraries across town. Since those early days, MWA has grown significantly through the generous financial support of the Evjue Foundation, the UW-Madison Anonymous Fund, and — most recently — Altrusa International. The program is currently staffed by experienced, paid instructors, many of whom hail from the UW-Madison Writing Center, including Ph.D. students from Literary Studies and from Composition and Rhetoric, as well as from African American Studies, English Language and Linguistics, Creative Writing, and the UW-Madison Writing Fellows program. 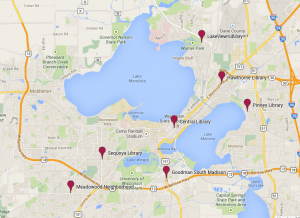 Our one-to-one sessions take place all over Madison. (Created with Google Maps). In addition to its one-to-one sessions, MWA offers selected group workshops by request, including college essay application workshops for high school students at the Urban League and at the Middleton Public Library, a resume workshop for third-shift employees through UW Continuing Studies, and a grant-writing workshop for the Healthy Classrooms Foundation. Logan Middleton, MWA instructor. Photo courtesy of Logan. 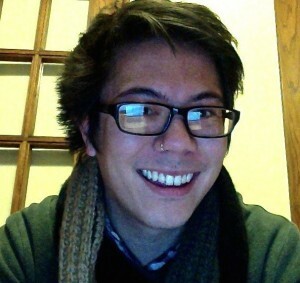 Chris Wagner, Staff Librarian at Goodman South Madison Library and long-time partner of MWA. Photo courtesy of Chris. One of MWA’s youngest patrons wished her instructor a Happy Valentine’s Day! Photo courtesy of Sarah Dimick. 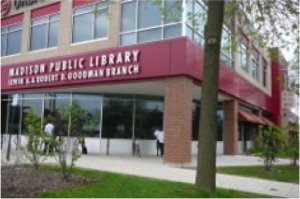 Goodman South Madison Public Library is the site of the 11th annual Celebration of Writing. Photo courtesy of Madison Public Library. We close with an invitation to learn more about MWA by sharing in some of the vibrant writing happening across the Madison community! All are welcome at the 11th Annual Celebration of Writing, co-sponsored by MWA and Goodman South Madison Library, on Monday, May 5, 2014, from 6:00 to 8:00 pm. Come to meet other writers and enjoy refreshments. Attend a 30-minute writing workshop led by accomplished local authors, on topics from memoir writing to picture book writing to fiction writing. Chat with an MWA instructor about your own writing in progress. Then share your own writing of any kind — poems, short stories, raps, editorials, essays, song lyrics, personal reflections, or academic writing — at our Open Mic. We hope to see you there! 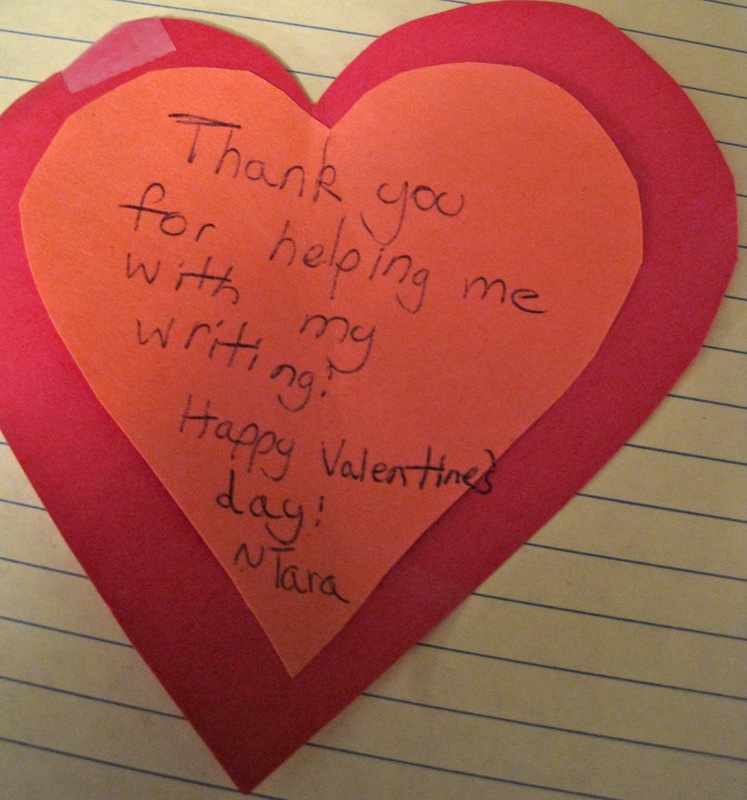 For more information about the Madison Writing Assistance program, feel free to contact us at mwahelp@gmail.com or visit our website at http://www.writing.wisc.edu/mwa. Thanks for this wonderful post, Elisabeth and Nancy! When we talk about the Wisconsin Idea on campus, I always think of Madison Writing Assistance. As an instructor, I appreciated the opportunity to connect with the Madison community beyond the university. I’m glad to hear the program is thriving! Thanks for this wonderful post! 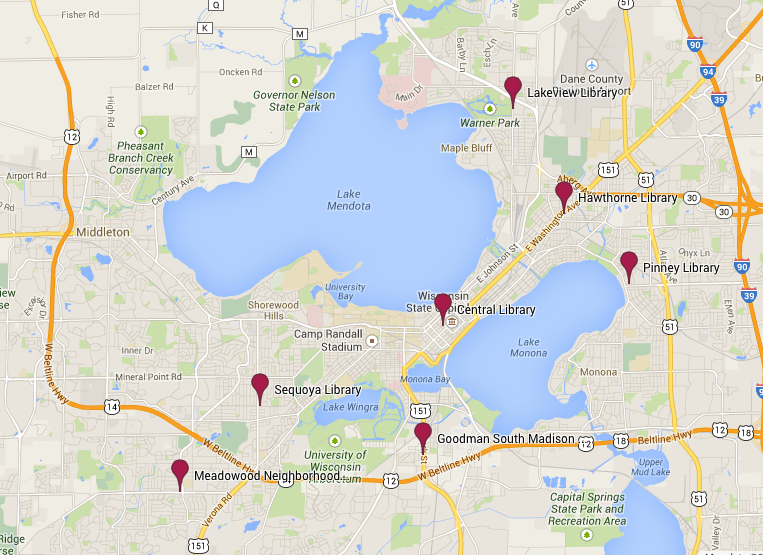 MWA shapes and is shaped by a rich community of writers right here in our city of Madison. I’m consistently impressed with the diversity of experiences that writers bring to the table, and I find that as an instructor, I often leave having learned more about writing’s purpose in community life than I initially expected. Nancy and Elisabeth, thanks for all your hard work! I’ll always remember the challenges and rewards—so unique to MWA—that I got to experience when I worked as a tutor. And of course I’ll remember the people, especially everyone’s dear, favourite memoir-writer. What a privilege to have had this experience. Thanks for posting, Nancy and Elisabeth! Great posting! Every word rings true, and I am a witness! MWA both levels AND raises the playing field so that anyone can make themselves heard, make themselves visible through the written word. 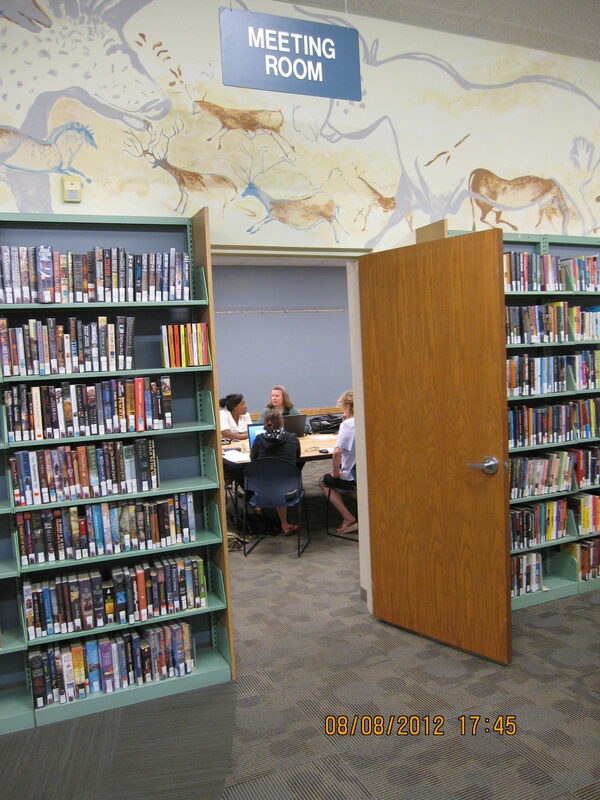 MWA is a key service to fulfilling the library’s goal of providing the resources to make it possible for all people to engage fully in the life of their community, civic and otherwise. Such a lovely reflection of the wonderful work that MWA is doing! I feel lucky to have been a part of it and I even noticed a former writer I used to work with! Thank you so much Nancy and Elisabeth for all of your dedication to making this a sustainable program that is deeply connected to the broader Madison community! Thank you for this thoughtful overview of an invaluable community resource, Elisabeth and Nancy! The opportunity to teach and write with people outside the conventional university structure was—like a good crossword puzzle—a wonderful, rewarding challenge. What a wonderful post. 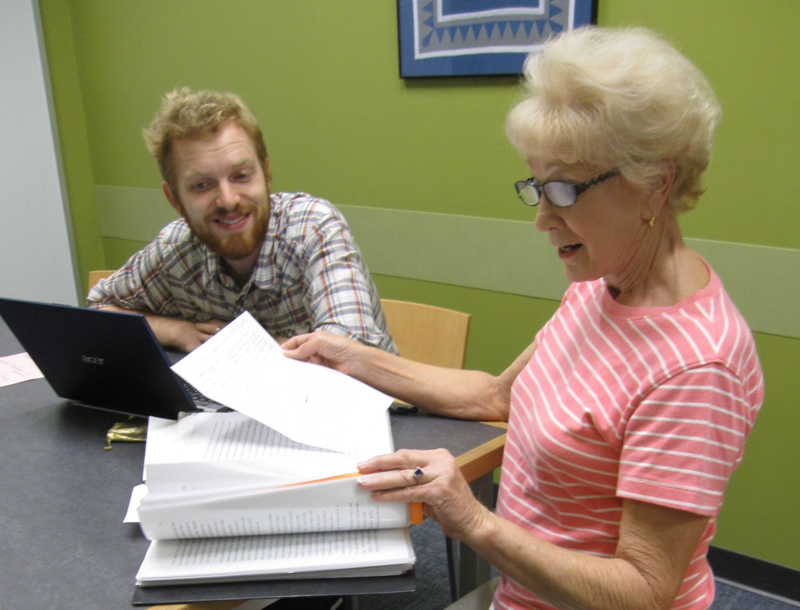 MWA has been an invaluable addition to our Wednesday morning job clubs at Meadowood Neighborhood Center. We have had very talented and compassionate individuals come from MWA to directly interact with members in the southwest community. With their help, we have been able to assist many community members with resume writing, cover letter construction, reference sheets, and other writing support. Thank you for all you do. We are extremely grateful to be able to work with MWA. A special thank you to Elisabeth, Virginia, and Logan! Thanks for this great post, Nancy and Elisabeth! Your discussion of what instructors take away got me thinking about my time on staff and about the transferability/translatability of our Writing Center practices. While I don’t want to discount the differences–the range of writing tasks, the relationships to writing and literacy–what strikes me is the amount of cross-over. It’d be really interesting to think more about the relationship between instruction in various sites. Thanks for this post! It’s so great to read about the work done by MWA. I particularly liked the variety of perspectives represented in this piece – it’s really important, I think, to hear from writers bringing work to MWA and the librarians at those sites, as well as instructors. Thanks for this post! It was a great introduction to MWA. I hope I can participate in it at some point in the future. Thanks for the update! It’s great to see Writing Fellows involved. I fondly remember my shifts at the South Park Street location and participating in the annual celebrations of writing. Thanks to all who are sustaining this invaluable public service. Thank you, Nancy and Elisabeth, for sharing all these perspectives and voices from MWA. This post gave me a better sense of all the moving parts that are required for such an important, meaningful service to be sustainable. I am amazed by all the tangible impacts of writing in people’s lives. Thanks so much for this post, which gives a really great overview of MWA. I especially liked that you included instructors’ and patrons’ voices here. It’s great to hear patrons’ own sense of how or why MWA is important for them, and to hear from library staff, too. We at Pinney are so grateful to be able to offer this program to our patrons. The touching stories from successful job applicants are a joy to hear. Thanks to all of the patient and skilled MWA instructors! I wish I could come to celebrate with you on May 5th. Your work is so valuable and impressing. Community writing center work is one of the things I really hope to do here in Germany one day, too. Thank you for sharing your insights with us! Love to read posts such as this. Community outreach is a noble enterprise regardless if it is academic or private sector. I personally am involved with a similar project with a local area college. My personal realm of “expertise” is blog development and design, and the tie in has turned into what feels a natural fit. I feel that the display / sharing of what has been written is a important tool, in the sharing of ideas and skills. Thank you for the wonderful post! It gives me further drive to extend the outreach program within my own business.